Airbus Defence and Space is constantly looking to improve technology, and encourages all sizes and shapes of companies to participate. 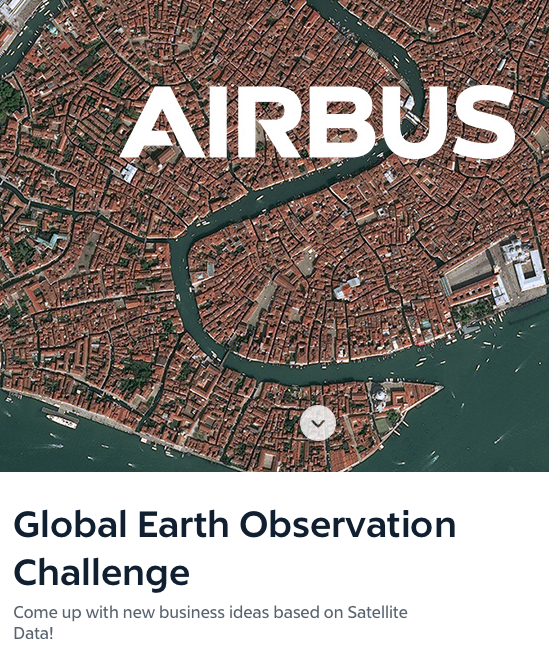 In this recent event Airbus Defence and Space has launched the “Global Earth Observation Challenge”, in which they encourage start-ups worldwide to innovate and develop new applications primarily based on Airbus satellite data. The results of these creative ideas are designed to bring new developments of Earth observation services, as well as ground-breaking solutions. Companies interested are invited to join the Airbus Defence and Space Global Earth Observation Challenge by registering here. The goal of this four-month challenge is to create added value for new businesses focusing on themes such as forestry, agriculture, smart cities and maritime, but can be enlarged to any other themes that would be judged relevant and are important topics for the global population. The first two months will be dedicated to forming ideas, followed by two other months of developing the same. Five finalist start-ups will have the chance to pitch their pioneering project in front of Airbus Executives and selected stakeholders. The challenge winner will receive a voucher worth 50,000 euros for satellite data as well as coaching for the development of their start-up, the second winner will be rewarded with satellite data vouchers worth 20,000 euros, the third 15,000 euros, the fourth 10,000 euros and the fifth will get 5,000 euros. Participating in this challenge will also include the opportunity of being integrated to the Airbus BizLab, the global aerospace business accelerator.